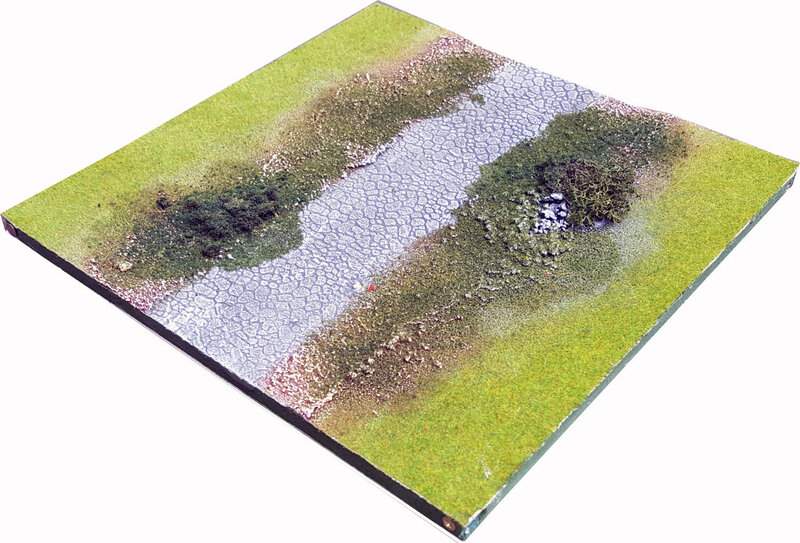 Enhance your terrain sets with "Road" tiles. The Road width is approx. 7 cm on the tiles (that's about 2.75"). This size corresponds to realistic road sizes for the whole 15mm to 28mm scale range Pedion is intended for. Therefore, the road can correspond to a 4m (13') wide road in 28mm scale (1/56), up to a 7m 2-lane (23') in 15mm scale (1/100). For smaller scales thre will be tiles with less wide roads. The prototype tiles represented cobblestone covered road parts. Τhere is also the option for dirt or asphalt roads.